This is just a short post about a new blog I started over the summer. Nearly two decades ago I started collecting 19th century photographs and developed a keen interest in the history of photography. In 1995, I launched a business focused on collecting, researching, and dealing in 19th century images. I called it Antiquarian Images, Ltd (AiLimited). The collection grew rapidly to include: daguerreotypes, ambrotypes, melainotypes (aka tin types), cartes-de-visite (CDV), cabinet cards, and miscellaneous albumen and carbon prints. Unknown. "Uncle Gaylord & Aunt Amelia Warner, New York farmers". 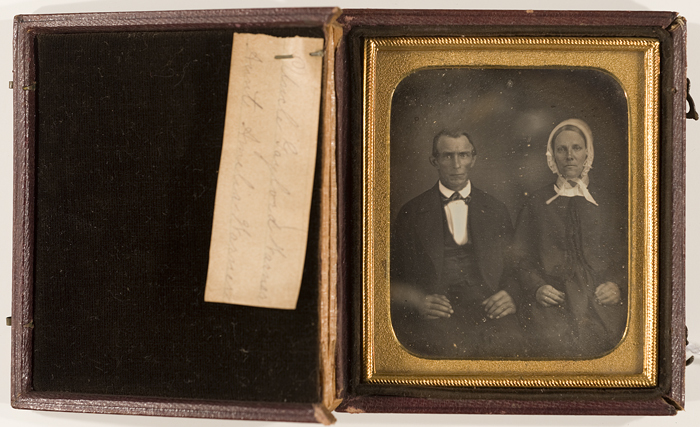 Sixth-plate daguerreotype, ca. 1845-49. Collection of Terry Ownby, PhD. By the end of the decade I shifted the focus of my career from photographing advertisements to teaching photography and consequently AiLimited was placed on an indefinite sabbatical. 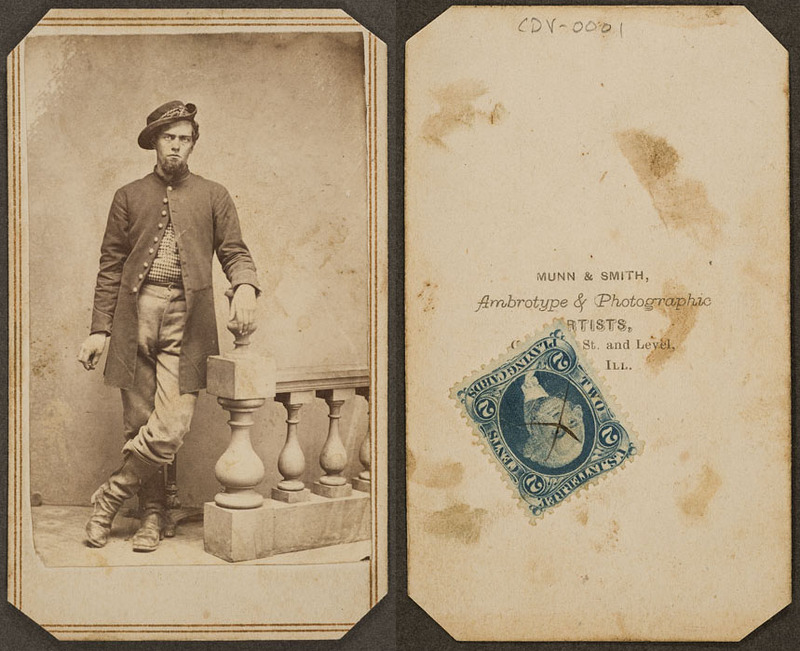 Although during the intervening years I never stopped collecting interesting 19th century images, mostly CDVs and cabinet cards from different states and territories within the U.S. and especially from the Civil War and Reconstruction Era of American history. John M. Munn, Cairo, Illinios. "Confederate officer with cigar," ca. 1864-1866. Collection of Terry Ownby, PhD. This summer I took AiLimited out of the mothballs and launched a new blog devoted to researching and writing about images within my collection. This fits nicely with my doctoral research, which focused on how photographic images can be used to construct or reconstruct an individual’s personal or social identity. From a visual ethnographer’s standpoint, this becomes an exciting challenge…much like detective work except it’s all in the historical past. One unique aspect of this type of research is that it allows me to use my past training as a professional genealogist when recreating the life story of either the patron posed in the photograph or that of the photographer that created the image. This academic school year I finally get to teach the photo history course here at the University of Central Missouri. I am really excited to teach a subject for which I have a unique passion. For anyone who may be like-minded or even mildly interested in photographs from the earliest years of the photographic era, I would encourage you to join The Daguerreian Society. I originally joined in 1995 and had great experiences discussing with and learning from other Society members around the country. The Society’s annual symposium and auction is coming up soon and this October it will be in Florida’s Gulf Coast city of St. Petersburg. Hope to see you there! Matthew B. Brady's Studio. 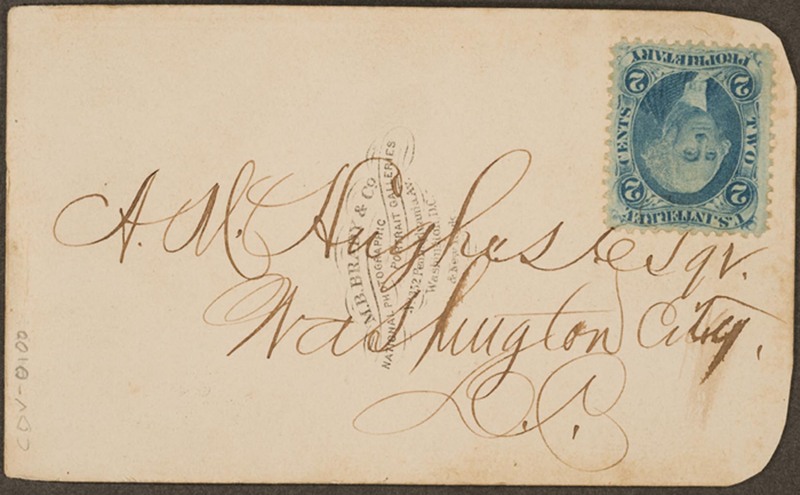 Autograph of Southern attorney and judge, A.M. Hughes, ca. 1864. Collection of Terry Ownby, PhD.